You too can learn how to make your own bio diesel processor like this one. How do you know you are really green? When you build your own bio diesel processor. That's when you know you are extreme green. And here's your chance. Only in the Bay Area, or at least we would like to think so, can you take a class to learn how to build your own bio diesel processors that really works. And you can save yourself a cool grand as well. A workshop is being offered at the Solar Living Institute in South San Francisco on March 1. Like all things there is a catch. The class costs $150. But you could end up in the green at the end of the class. 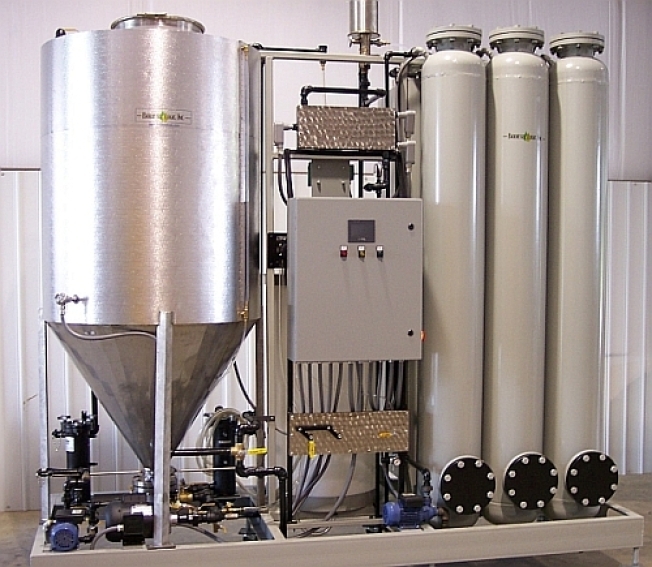 Manufactured bio diesel processors can cost anywhere from $1500 to $7000. But in this workshop, you’ll learn how to build your own, small-scale 40 gallon bio diesel processor from start to finish using materials that cost less than $700. The class promises to teach you how to use and maintain a processor and test out a new processor by making a fresh batch of bio diesel fuel. More advanced topics in home brewing bio diesel will be covered as well, such as fuel procurement, quality testing and equipment compatibility. For more information and class requirments check out the Solar Living Institute's Web site.